All parts of a house age with time. 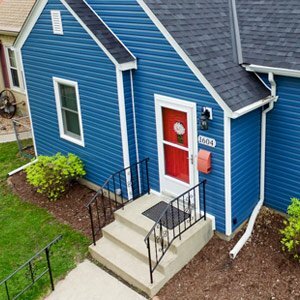 Today we are focusing on why siding can age faster than it should. Properties that have large trees that provide shade are always a point of pride. If a tree is too close to a home, it can start to damage your siding. Why does this happen? Branches that reach your home rub up against the siding causing it to wear quickly. By trimming branches this problem is solved. Take a look at the location of trees (even if the branches don’t touch the home) and consider how a tree might fall if there was strong winds during a storm. Although this would damage much more than just siding, it is something to consider. Water damage can quickly age your siding. Check that your gutters are in the best working condition. If you aren’t sure, have your local Bloomington Roofing Contractor inspect the gutters. They will have a ladder and check for any blockages that need to be cleared. Clogged gutters result in water not flowing properly away from a home that can lead to water damage on the siding. Water Damage: It’s crucial that your gutters are in good working order so that water is 1redirected away from your home and not pouring onto your siding every time it rains. Cracked siding can cause water to penetrate behind the siding which, over time, can cause harm to your home. It is important that your siding is in good working condition, just like your Bloomington, MN roof. 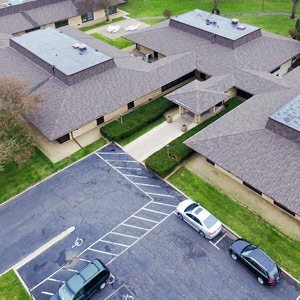 Snap Construction is a Bloomington roofing contractor that can provide a free inspection to look for any areas of concern. Sometimes dirt can cause siding to look aged and worn. Washing the siding will remove this and make the exterior look great again! Note: Be sure to check the type of siding you have. Sometimes certain cleaning chemicals can void a warranty. If you are still unsure, don’t hesitate to call your local siding contractor.